Last week at a friend’s bridal shower, I had the awesome opportunity to share what I’ve learned about marriage. I haven’t been married all that long, but I have been married long enough to learn a thing or two. And I’m learning that when God teaches me something, it is a blessing to me each and every time I get to honor the Teacher by sharing it with others. So, I thought in addition to sharing that night, I would post it here to share with the rest of you. So… 11 more days! You’re almost there. I bet you have been dreaming about this day and the days and years to follow. It is a wonderful time. A time to plan and to look forward with excitement! All of us here are so excited for you, too. It’s a time of great expectations. I have to be honest, when Michele called me and asked me to pray about doing the devotional for tonight, I was hesitant. I told her that yes, I would pray, but that no, I wasn’t sure this was something I could do. Then I got off the phone and cried. This year marks just 9 years for Matt and I… I am certainly not the most experienced wife here. We’ve had lots of ups and downs and have made plenty of mistakes through them… I’m certainly not the wisest wife here, either. And you deserve the best. I almost said no, because I felt inadequate, like I couldn’t fulfill expectations for a marriage devotional. I thought others would have expectations of me that I couldn’t possibly fulfill. I had expectations of myself that were impossibly high. Thankfully, I calmed down from my panicked cry and was reminded that this time here isn’t about me and what I can do or say about marriage. It’s about what God has already said, and what He has taught me in my short time of being married that I can share with you. I almost missed out on the blessing of sharing the things I’ve learned because I had misplaced and impossible expectations. 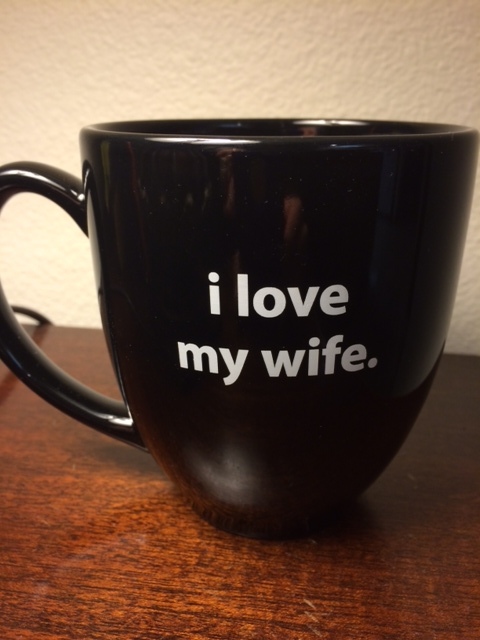 Here’s the thing… I’ve learned marriage is a lot like that. No, it’s not about lowering expectations. It’s about putting expectations in the right place. God gave me an incredible gift when he gave me Matt. We’ve had some great times in 9 years, and we’ve had some tough times too. For me, some of the hardest times were not about the actual circumstance we were facing, but about the expectations I had that were not met. You have a great prince in your life. Just like I do. But if I could share just one piece of advice with a new bride, it would be this: Don’t ever let that prince take the place of the King. The King of Kings, who knows you best and loves you even more than your fiance does, more than you can imagine, has given you an incredible prince to spend your life with. And while your new husband isn’t and won’t be perfect, he is the perfect gift for you because he is from your Heavenly Father, who knows you so well. This is a gift you get to unwrap each day as you wake up next to the man God picked out just for you and spend your days getting to know the gift and the Gift Giver even more. Expect to be blessed when you serve your husband with a humble heart. When Matt and I were first married, people told us, “Always remember, love is a verb.” A verb is an action word. That means you can show your love for your husband by serving him. Think of ways to bless him. Iron his favorite shirt. Make him his favorite meal. Leave him a sweet note on the mirror when you head off to work first. Or get up a little earlier to send him off with a good breakfast. Proverbs 11:25 says, “Whoever brings blessing will be enriched, and one who waters will himself be watered.” When you bless your spouse, you will be blessed in return. Expect your friendship to grow as you make time to communicate. 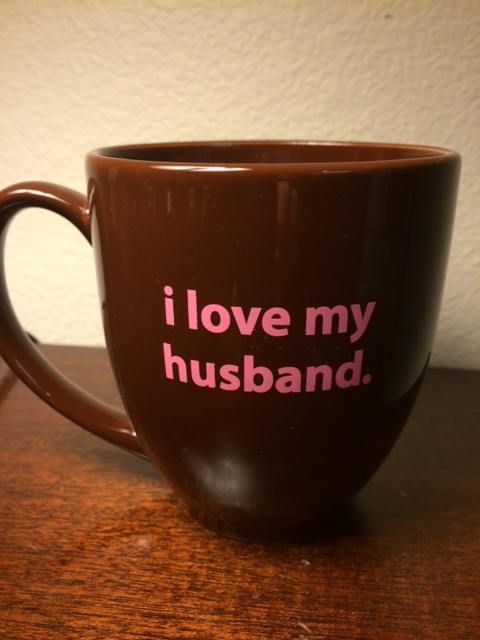 Don’t expect your husband will be able to read your mind (because after 9 years of marriage, I’m more convinced than ever that men cannot do that). Instead, share with him your thoughts: your gratitude, your concerns, your dreams, your frustrations. Be his confidant and closest friend, and let him be yours. For “this is your beloved and this is your friend.” —Song of Solomon 5:16. And James 1:19 “Be quick to hear, slow to speak, and slow to anger.” Friends listen to each other. Take the time to really listen to him. Learn what he likes, what makes him feel loved, what empties him and what fills him up. As you seek to know him more, use that knowledge to find more ways to bless him. Expect your love for each other to grow the more grace you give. 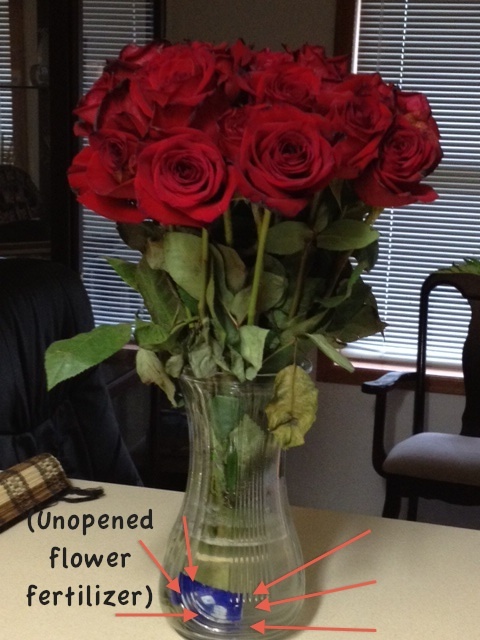 Marriage provides lots of opportunities to forgive and show grace. It can be hard to let go of hurtful things that are said or done, especially if they happen more than once. You may be tempted to bring up past mistakes and hold on to repeated mistakes when they happen yet again. Remind yourself of these verses. Proverbs 19:11, “Good sense makes one slow to anger, and it is his glory to overlook an offense.” Ephesians 4:31-32, “Let all bitterness and wrath and anger and clamor and slander be put away from you, along with all malice. Be kind to one another, tenderhearted, forgiving one another, as God in Christ forgave you.” When you argue or have wronged each other, instead of expecting your spouse to be the first to apologize, soften your heart towards him. Pray that your heart will be softened. Be humble and quick to forgive, and forgive as many times as is required. Know that showing grace will increase your love for each other. In Luke 7, Jesus teaches Simon about forgiveness. Remember the woman who lived a life full of sin that washed Jesus’ feet with her tears and hair? She then poured perfume on his feet and kissed them over and over. Jesus pointed out that Simon’s reaction to seeing Jesus was much different. He did nothing but greet him. She had been forgiven more, and therefore loved more. In verse 47, Jesus says this, “I tell you, her sins–and they are many–have been forgiven, so she has shown me much love. But a person who is forgiven little shows only little love.” Forgive BIG. And know that not only will you be blessed because you are obeying your King, but expect that the more you forgive your husband, the more his love for you will grow. Expect your relationship to be strengthened as you honor and pray for your husband. Proverbs 31:10-12 says this, “A good woman is hard to find, and worth far more than diamonds. Her husband trusts her without reserve, and never has reason to regret it.” Pay attention to all the good in your husband: his faithfulness, his steadiness, his servant’s heart, his hard work. Honor him for those things. Tell him and show him how much you appreciate and respect him for his leadership in your home. Pray for him in his role in your home, in his role at work and in other areas. Honor him in how you speak to him and about him. I love how Ephesians 4:29 reads from The Message Bible, “Watch the way you talk. Let nothing foul or dirty come out of your mouth. Say only what helps, each word a gift.” When you do that, Proverbs says your husband will trust you without reserve, and your relationship will be strengthened because of it. You’ll notice each of these expectations isn’t about something your spouse should do or will do. They are about you. And they’re about God’s promises. They are about you being obedient to Christ, and God’s blessing being poured out in your marriage because of your obedience. Your spouse will see this and be blessed. Others will see, too. And you will point all of them right to Jesus by your words and actions. So the last expectation is this: #6 Above all, expect to glorify God as you continue to seek Him in your marriage. Because that is exactly what you will be doing when He maintains his rightful place as Lord of your life… when you first love the Lord your God – your King, and when you love, honor, and cherish the gift he has given you in your spouse. Yes, it took a painful amount of time. Yes, I had to calm 3 near fits after she didn’t form the perfect “G” “K” and “5”. Yes, I had to give her a time-out for banging the table and snapping “No! I DIDN’T!” when I said she had made a good letter R.
Yes, I got “in trouble” at various moments for: 1) Spelling too quickly. 2) Spelling too slowly. 3) Offering help. 4) Not helping enough. 5) Suggesting that yes, in fact, she can do it. 6) Suggesting where to put it when she was done. And yes, she’s doing this on Mother’s Day. 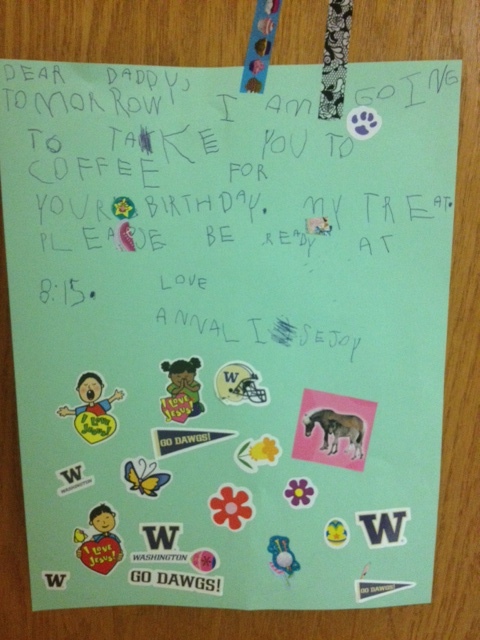 And she’s using my coffee card that I got for Teacher Appreciation week. And P.S. My favorite? The Es with lots of bars. Bless her. Admittedly, I’m not a big fan of Valentine’s Day. Maybe it’s the commercialism… buying gifts to say “I love you” on a day you’re supposed to just doesn’t say “I love you” as much as it says “I’d like to keep myself out of trouble, so I will follow the rules and get you cheap chocolate and expensive flowers.” I’m not saying that’s what every person thinks when they’re buying their significant other a gift. 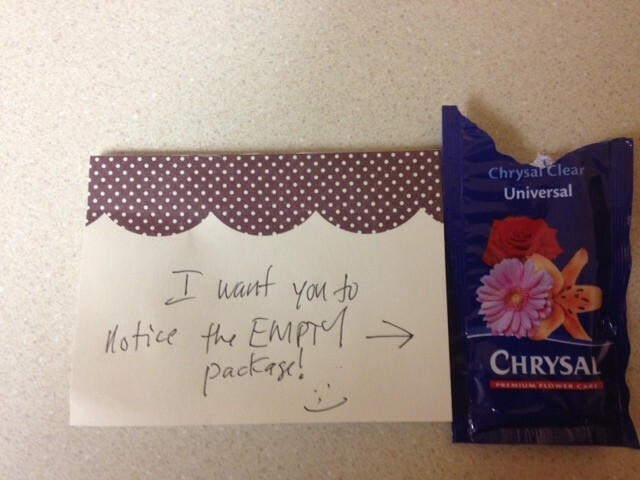 I just find it much more thoughtful on a day when it’s not expected. Plus, I don’t know about your kids, but MY kids certainly don’t need another excuse to get presents. Or maybe it’s because I’m a teacher… if you also work with kids, there is no need for me to explain further. If you don’t, let me summarize: 27 (or more) 8- and 9- year olds (or some other age) full of too much sugar and emotion and excited bouncing off the walls about the thought of more. Anxious to read cards and savor Sponge Bob’s pre-printed words of love from the current “love of their life.” Hurt feelings. Hyperactivity. Lack of focus. Excess of drama. Or maybe, just maybe, I get a little irritated about A day to force love and kindness. When shouldn’t we be full of love and kindness EVERY day? Shouldn’t we take time as often as possible to tell those we care how much we care? Maybe I’m just cynical. If so, then I married the right man. He’s never been a fan of cupid, either. He shows me in a thousand ways that he loves me, and I don’t need a stuffed bear holding a heart on this day to remember. I am reminded daily. Our typical Valentine’s Day is pretty much like any other day. Except at dinner, we try to do something special with the kids. Last year, we had all pink and red food. Breakfast for dinner: Ham, pink biscuits with raspberry jam, jell-0 and strawberries. This year, we upped the class on our dinner and had a nice meal out with Matt’s family to celebrate his brother’s birthday. Delicious food with people we love. 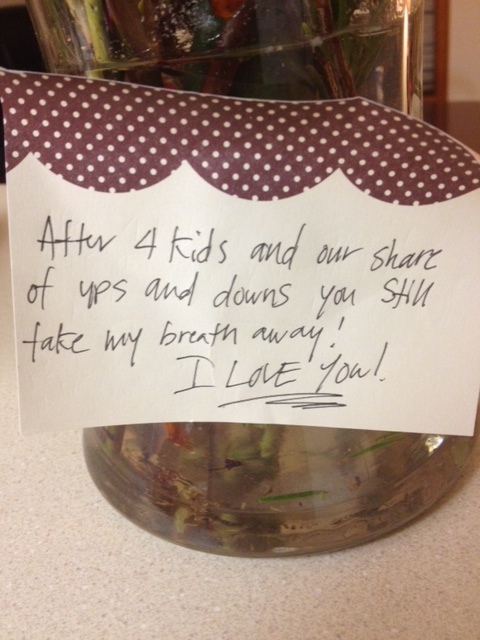 Much better than cheap chocolates. Yes, definitely cynical. But on this particular Valentine’s Day, there were a few things that cured me of my bad attitude about this day of love-with-a-lower-case-l, and made me remember to keep it a day of Love-with-a-capital-L. Lower-case-l-love is bought in gift shops teeming with pink and red and hearts and stuffed animals. It is the too much sugar and the costlier-than-usual flowers. It’s spending $4.99 on a card that will be thrown away tomorrow and not buying another card until next year, same time. Upper-case-L-Love is 1 Corinthians 13* Love. It’s the Love we need to be celebrating, and not just this day, but every day. It’s not the $4.99 card, but the message it holds that is demonstrated in action. 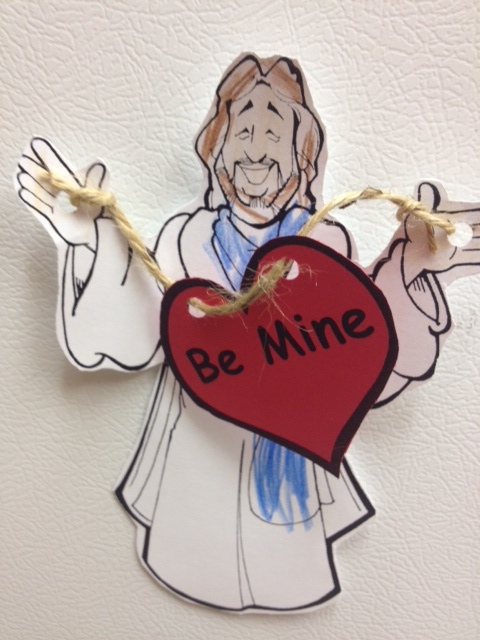 Seeing my kids walk by the fridge where this hangs: And each time they do, they say in a deep voice, as though they were Jesus, “Will YOU be MINE?” Followed by an immediate response from themselves (in their own voices), “YES! I’m YOURS!” Annalise made this in her Bible Class, and the conversation was their homework. She does her homework daily and has taught her brother to do the same. I pray that all their lives they will feel the Love of Jesus. Feel him saying to them, “Will you be mine?” And I pray their answer will remain what it is today. May we always answer to Jesus, “YES! I’m YOURS!” Love. Capital L.
I came home to this: Aww. Sweet. (We’ve been boycotting $4.99 cards – or any card – that will just be thrown out, for years now. It’s the message that counts, right?) So I read the message: That message. Handwritten. Lived out. 1 Corinthians 13 Love. Love-with-a-capital-L.
You might remember this post where I posted the flowers Matt got me “just because.” I died laughing: Well, you may not remember. But he did. 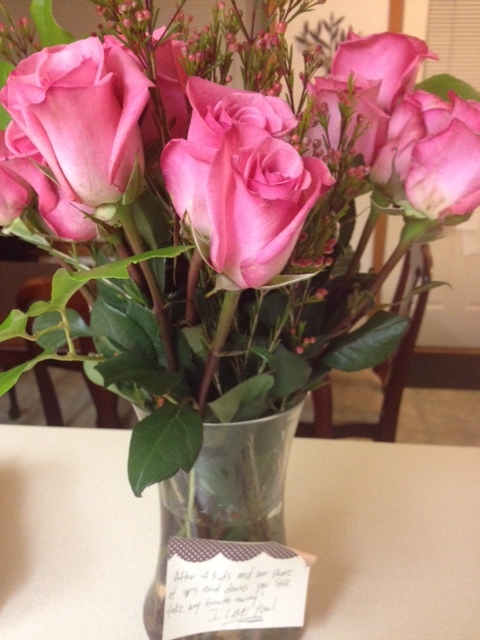 So today, next to my bouquet of flowers and beautiful note, there was another note: How I Love that man. With the capital L kind of Love. Is it just me, or are 6-year-olds full of wisdom? I think we could learn a lot from them. This girl gets it. It’s all about the Love-with-a-capital-L.
A Godly Love, because God is Love. A Love that is humble, patient, and gentle. A Love that Loves at all times. The kind of Love that serves one another. And sometimes, it might also give really good chocolate. Just because. If I speak in the tongues of men or of angels, but do not have love, I am only a resounding gong or a clanging cymbal. If I have the gift of prophecy and can fathom all mysteries and all knowledge, and if I have a faith that can move mountains, but do not have love, I am nothing.If I give all I possess to the poor and give over my body to hardship that I may boast,but do not have love, I gain nothing. My husband is a stud. A very talented stud. A very talented stud with a NEW WEBSITE!!! Check it out. It’s beautiful. Seriously. And I’m just so proud of him! Now GO! Check it out, wouldja??? Just click here!